It will take all the efforts of the Justice League – and a few of their super pals – to keep Brainiac from adding Earth to his miniaturized collection of planets in the all-new animated feature, LEGO DC Comics Super Heroes – Justice League: Cosmic Clash. Produced by Warner Bros. Animation, DC Entertainment and the LEGO Group, the film will be distributed by Warner Bros. Home Entertainment on March 1, 2016 on Blu-ray Combo Pack, DVD and Digital HD. The Blu-rayTM and DVD releases will include an exclusive Cosmic Boy LEGO figurine, while supplies last. LEGO DC Comics Super Heroes – Justice League: Cosmic Clash will be available on Blu-ray Combo Pack for $24.98 SRP and DVD for $19.98 SRP. The Blu-ray Combo Pack includes a digital version of the movie on Digital HD with UltraViolet. Fans can also own LEGO DC Comics Super Heroes – Justice League: Cosmic Clash on Digital HD on February 9, via purchase from digital retailers. 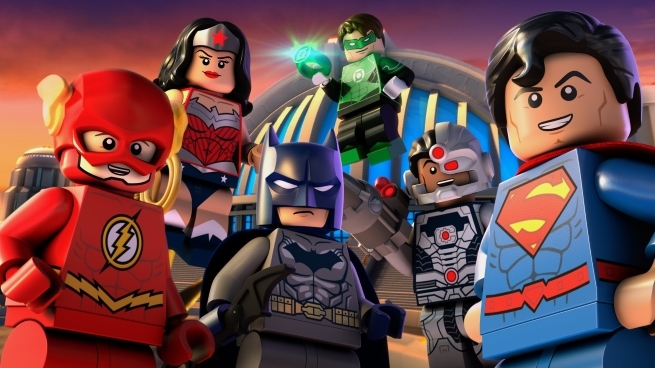 Win LEGO JUSTICE LEAGUE VS BIZARRO JUSTICE LEAGUE on Blu-ray! This is nice and awesome one comics. Because of LEGO, this like everyone kid! Look up here http://community.today.com/parentingteam/post/make-your-child-smart-thanks-to-sugar-free-diet for really nice article about child. This is so interesting one!